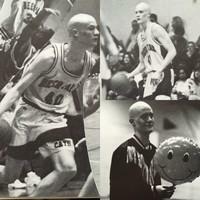 I graduated in 1996 and was actively involved in Boys Basketball, FCA, Parkers, and even played Soccer my senior year. I’ve always taken great pride in being given the Archie Griffin Sportsmanship Award on Senior Day and have tried to live up to that standard throughout my life. I went through some emotional and academic struggles my first two years of high school so I believe my greatest achievement at DPHS was digging out of that hole and paving the road for college during my last two years. After DPHS, I graduated from the University of Evansville in 2000 with a Bachelor’s degree in Special Education. I had the best college experience I could have ever imagined: joined a fraternity (Sigma Phi Epsilon), was a Resident/Summer Conference Assistant, went on two mission trips to Jamaica, DJ/Producer for the campus radio station, FCA, and played on the basketball team. Soon after, I went to graduate school at Austin Peay State University where I graduated with my Master’s Degree in Health and Human Performance (Sports Administration Specialization) in 2003. At Austin Peay, I served as a Graduate Assistant Basketball Coach and our team won the Ohio Valley Conference championship en route to playing Louisville in the 1st Round of the NCAA Tournament. Today, I’m still actively involved in the game of basketball. I spent 10 years coaching collegiately, but now I co-run an international sports tours company called STUDENTathleteWorld Tours. I spend all year recruiting players for our teams in several different sports and then take young athletes to tournaments across the world during the summers. During college basketball season, I serve as a color commentator for the ESPN Family of Networks on the west coast. Additionally, I run basketball clinics across the United States, different parts of the world, and even in a CA state prison. I want to stay in the game of basketball, whether that’s in coaching, television, organizing international tours, or a mixture of them all. There is room to grow in all 3 areas. At the same time, I have tentative plans in motion for a humanitarian nonprofit company that will work inside prisons with people who are incarcerated. HOW DID DEER PARK SCHOOLS HELP PREPARE YOU FOR SUCCESS? I really can’t think of a better place than Deer Park to prepare you for success. The community has a blue-collar mentality and the school district has outstanding teachers! For being fairly small with limited resources, I’ve always felt those working inside the schools do “more with less”, which has made both current and former students excel to incredible heights. Hundreds have left DPHS and gone on to have a successful family, career, etc. and those building blocks can be traced back to their K-12 teachers. I never once felt like a number inside a Deer Park school. I’ve always felt that teachers/coaches cared about me, were willing to spend extra time to help me, and wanted me to have a well-balanced experience. Deer Park is a very special place. 1) I currently live in Los Angeles (CA), but have also lived in Indiana, Tennessee, North Carolina, and (obviously) Ohio. 2) My dad and all four of my siblings graduated from Deer Park High School. 3) I spent two years learning how to salsa dance (but I’m still terrible at it)!